Our workshops for cooperative-building efforts in the Oriental Region may have finished weeks ago, but the process for the High Atlas Foundation (HAF)–joined this week by the U.S. Middle East Partnership Initiative (MEPI)–to follow up with its impact on participants continues. One year of preparation, 35 cooperatives, six provinces, six subjects of workshops, and more than eight mentors: these statistics demonstrate that the work conducted in this region by HAF, with MEPI support, was not easy but was nonetheless vital to pursue. The good faith of people and partners led to the realization of this project, which was inspired by an idea to help cooperatives and give them the chance to know more about their rights, external and internal resources, and to help them move passed any frustrations and to take actions to achieve the development outcomes they most want. 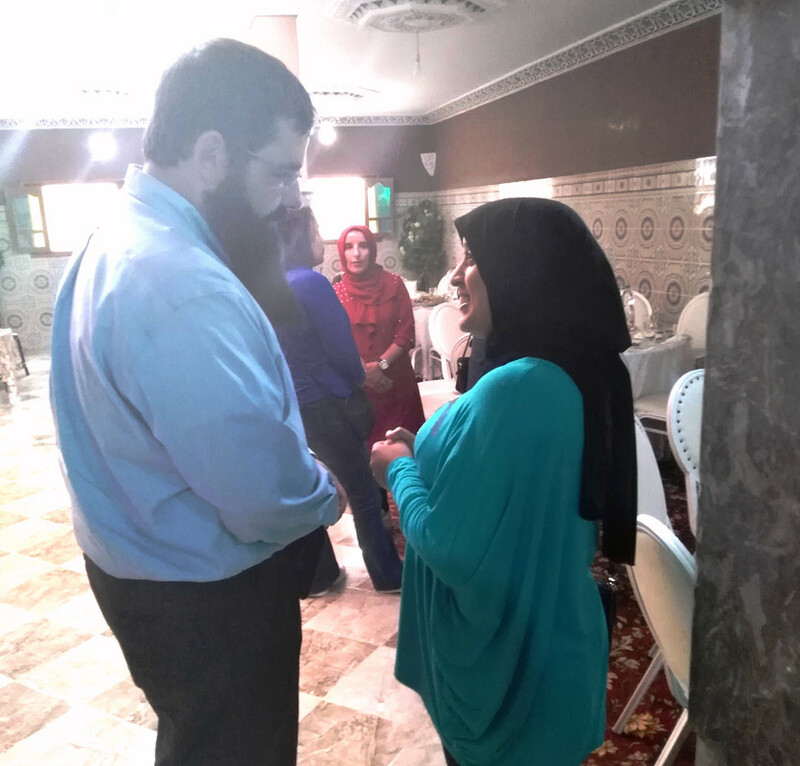 We began our trip in Oujda and drove one hour to Ain Beni Madar, where we met our first cooperative, El Baraka, and its President, Lala Aicha. El Baraka was created in 1995 by 17 members and works on handcraft carpets, beekeeping, and breeding turkeys. She invited us to her cooperative’s location to take a look at their activities. Lala Aicha looked very happy when she talked about the training and the impact of what she learned from it. For example, after the training she immediately collected necessary legal documents and took action to initiate the process of receiving certification from National Office of Sanitary Security of Food Products, which provides authorization for the domestic and international sale of products. Lala also talked about the benefit of the training’s Marketing as well as Empowerment workshops, as she learned many helpful things from it and reported several positive changes in her life as a result of them. “I found what I need in my personal and professional life, I found my vision, and I’m working now to get it. I need to take just a few more steps to reach what I want. That’s what I learned from the workshops,” she said. I discovered this same occurrence with many of the women I met them during the second stop of our follow-up trip in Tandrara and Bouarfa, where we met with six cooperatives. I also discovered the improvements in their products’ packaging and how they presented their products to us. For example, their sales pitches were delivered clearly and confidently. The cooperatives shared their successful stories with the HAF and MEPI teams. Finally, the last stop on our trip was Figuig, an unforgettable place as a city of hidden historic landmarks as well as powerful cooperatives managed by powerful men and women. 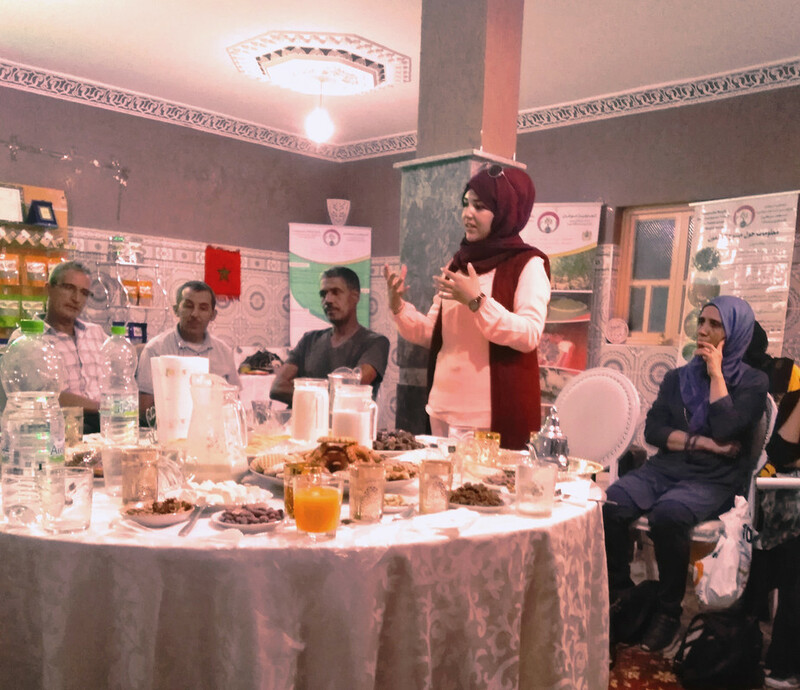 It was ultimately a fruitful trip for HAF to take with MEPI, as our partner for this program, to learn more about the effects of our training on people in cooperatives in addition to people who simply want to improve a particular aspect of their lives. 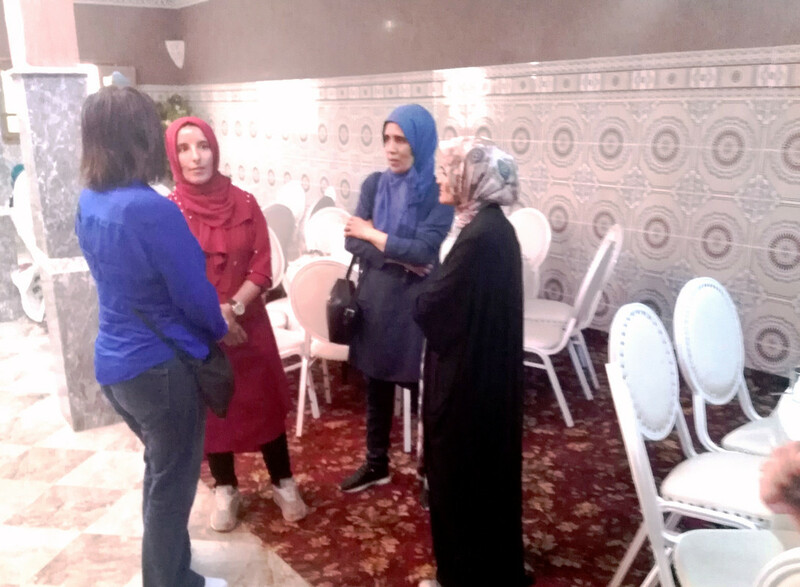 I felt so proud because I had the chance to see numerous women who attended the workshops I facilitated not only practice what they learned at the training in their daily lives but also teach it to other people–reflecting a sustainability result of the workshops, which supports the mission of HAF to implement sustainable projects in Morocco.